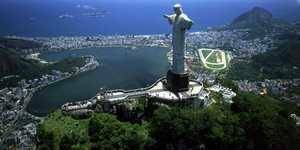 The terrace of Christ the Redeemer is this great area at the top of the Corcovado on which the visitors walk. 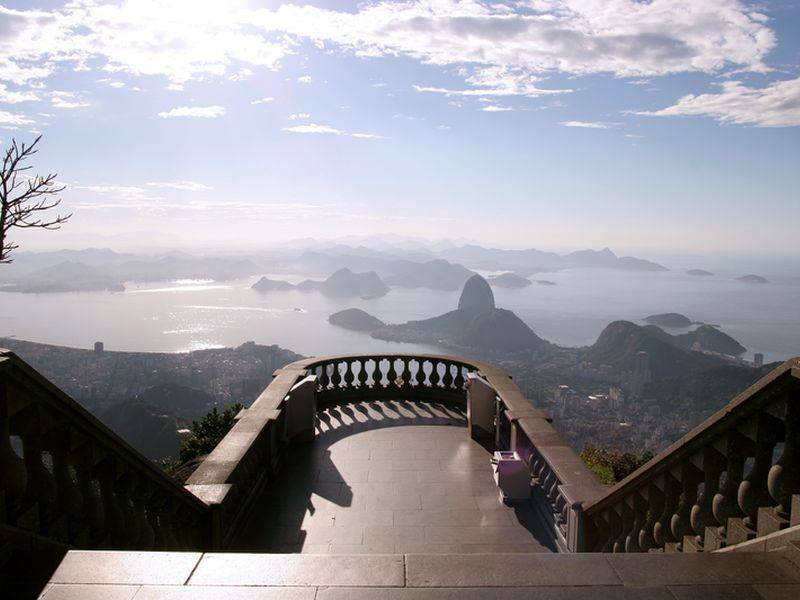 At over 700m above sea level and overlooking Rio, the view is magnificent, provided you have good weather, of course! The statue facing the city, and therefore at the cliff, visitors always arrive from the back. several flights of march accompany them to the terrace, where the fresh air and the light breeze cool them. The terrace is in three parts: The first is the largest, the largest. This is where the statue is located, or rather its base, itself perched at 8m in height. Then the terrace narrows to reach the second terrace, smaller than the previous one. It is from it that one has the best view since it is slightly set back from the statue. At the end of this second terrace a staircase descends towards the cliff. Just before arriving there is a third terrace, even smaller, but offers a different view. 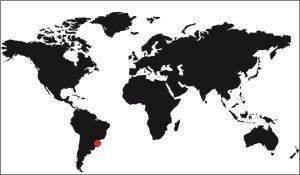 It is from here that the visitors have the best view of Rio, in clear weather. This area has some tourist facilities, but not directly on the terraces, it would distort the area. The bars, restaurants and shops are on the back of the statue. It is obligatory there because it is the only place of mount Corcovado where one could build, the other sides are too abrupt. The old staircase is now used to join the terraces of the shops, so you have to go down about fifty steps to get there. It is a large rounded building with floor-to-ceiling windows with restaurants, bars and shops. It has a large terrace usually covered with a forest of green umbrellas. Its roof is also a roof terrace covered with tables to rest around a cool drink. Since there is not much space compared to the daily flow of visitors these terraces are stormed, it is difficult to settle there. There are quite a few small souvenir shops on site at the top. They are mostly located on the terrace itself, at the entrance of the visitors. There is also a larger shop a little lower, a little more secluded. The visit of the site of the statue begins well before the arrival on the altitude site. In fact from the entrance to Cosme Velho station the visitor can already discover its history through the posters and other posters showing the site in the old days. The resort of Cosme Velho, completely restored, has been transformed into a reception area for the public and entertainments. It has become much more modern and comfortable than it used to be. A new boarding area was built in addition to tourist information shops, a VIP room and an auditorium. There is even a cultural space where the rich history of the railway and the monument dedicated to Christ is perpetuated. Once you reach the end of the line, 4Kms further and 700m higher, you can enjoy the 3 panoramic elevators, each with a capacity of 14 people. Their glass walls allow the view on the bay. The access is through a space that welcomes both visitors arriving by car and those arriving from the platform of the train by the Corcovado railway. Metal gangways suspended on another structure of approximately 4 meters wide and four escalators with a circulation capacity of 9,000 people per hour are installed. The walk starts already there, the tower 31 meters high allows to discover a first view of the city. The view from the Corcovado is breathtaking! It is part of the world's best views, and it's not exaggerated. There are many impressive points of view, such as when you are at the top of the One Word Trade Center in New York (on a clear day in the early evening) it is difficult to forget. Already the view carries in all directions, 360 degrees. In addition to being able to contemplate the horizon, the interest of this view is that it offers a perspective. At the furthest distance you can see the Sugar Loaf, the beach of Copacabana and Ipanema, and even further the lagoon Rodrigo de Freitas. There are also numerous favelas. Closer is the airport, the Centro, named after the city's business district, the Maracanã stadium, the botanical garden and so on. On the spot, apart from the statue itself and the view, there is not much to see. You have some explanatory panels, busts of personalities related to the construction of Christ, but that's about it. Learn more about what's to see on the platform. 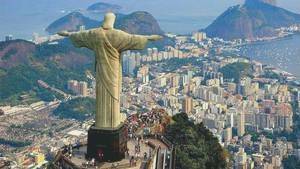 History of Christ the Redeemer.